Natarajan Maruthappa, the husband of the recently imprisoned AIADMK chief V.K. Sasikala died at the age of 74 at Gleneagles Global Health City, Chennai. Former A.I.A.D.M.K. Chief V.K. Sasikala is behind the bars now. Her husband Maruthappa Natarajan died at a hospital in Chennai after multiple organ failures. The 74-year-old was admitted to Gleneagles Global Health City hospital last week. Sasikala’s husband also came in with a chest infection. The doctors as per reports had classified his condition as”critical”. “It is with profound grief and sorrow that we announce the sad demise of Natarajan Maruthappa at 1. 35 AM today”. The message came with an official release courtesy Shanmuga Priyan, the chief operating officer of Gleneagles Global Health City. V.K. Sasikala is currently serving her time in the central prison in Bengaluru. She is likely to attend the last rites of Mr. Natarajan. “Natarajan Maruthappa was in the I.C.U. (Intensive Care Unit), Gleneagles Global (Hospital), on March 16 with a severe chest infection,” the hospital confirmed in a statement last week. 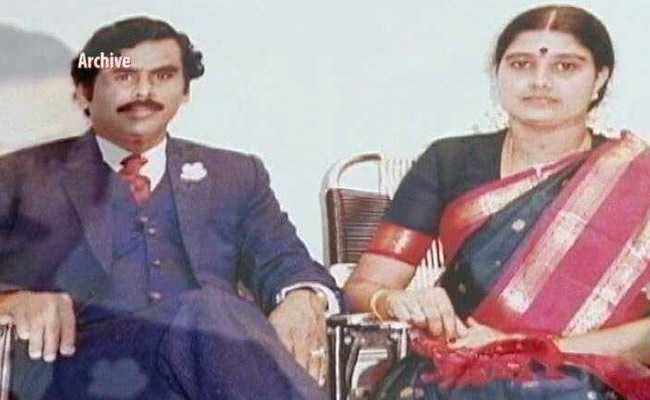 Mr. Natarajan was on ventilator support and his condition is critical,” the hospital’s chief operating officer, Shanmuga Priyan had said earlier last week. In October last year, Mr. Natarajan survives a life-saving double organ transplant. Meanwhile, soon after that, the news of his discharge came after the complete recovery. VK Sasikala, currently serving a four-year prison term in a disproportionate assets case, had visited her husband after she had requested parole for 15 days to surely visit her critically ill husband. Mr. Natarajan had a condition where his liver and kidney were failing and had a lung congestion, ahead of the twin organ transplant. He underwent tracheostomy in October last year and was on ventilator support before he was discharged.